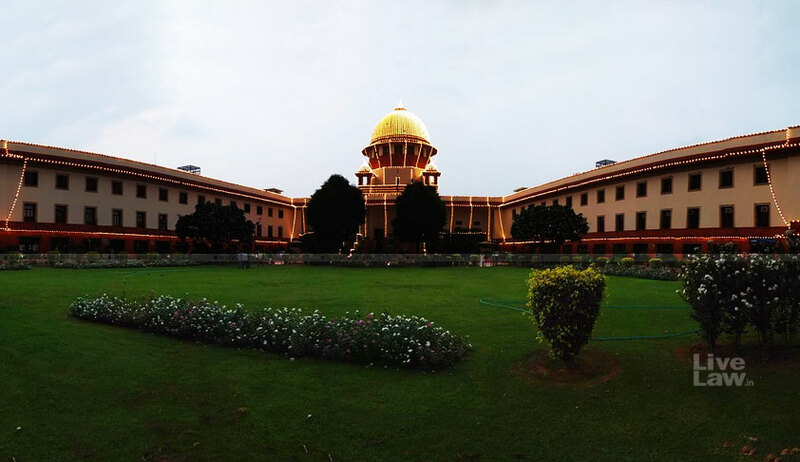 In a decision with wide ramifications, the Supreme Court bench has upheld the claim of a medical aspirant with “low vision” to be admitted in MBBS course in the category of persons with benchmark disability while holding that provisions of the Rights of Persons with Disabilities Act, 2016 which consider low visibility as a benchmark disability are binding on the Medical Council of India. In holding so, the supreme court bench of Justice Indira Banerjee and Justice Arun Mishra has rejected as “fallacious” the contention of the Medical Council of India (MCI) that Section 32 of the Disabilities Act providing for reservation in higher education institutions for persons with benchmark disabilities only provides for reservation to higher educational institutions and not to technical institutions imparting technical education. The apex court’s decision in the favour of Purswani Ashutosh from Ahmedabad, Gujarat, who suffers from low vision means that a person with low visibility cannot be denied benefit of reservation for admission to the MBBS medical course and will come to aid of many similarly situated medical aspirants. “…this Court holds that the petitioner cannot be denied admission to the MBBS course if he qualifies as per his merit in the category of Persons with Disability. In the event, the petitioner is found to be entitled to admission, he shall be given admission in the current academic year 2018-19,” held a bench of Justice Indira Banerjee and Justice Arun Mishra. In the instant case, the petitioner suffers from a specified disability “low vision”. He appeared in the NEET (UG) Examination for the 2018-19 Session as a candidate of the physically handicapped category, securing All India Rank 468982 – Category Rank 205186. He ranked 419 in the physically handicapped category. When he approached the authorities concerned for issuance of a disability certificate, they refused to assess his disability forcing him to move the apex court. It is to be noted that visual impairment is a specified disability under the 2016 Act and covers low vision. Petitioner's counsels Prashant Bhushan and Govind Jee had argued before the court that in exercise of powers conferred by Section 33 of the Indian Medical Council Act, 1956, the MCI has framed the “Regulations on Graduate Medical Education, 1997” which were amended vide notification dated January 22, 2018. Regulations 4 and 5 of these Regulations incorporate the provisions of the 2016 Act with regard to special disability. On June 15, the bench issued notice to Centre and other respondents while directing the petitioner to present himself before the Medical Board of B.J. Medical College, Ahmedabad, for medical examination and appropriate medical certification with regard to his claim low vision. On July 12, the MCI told the court that an expert committee formed by it had opined that persons with visual impairment of 40 per cent or more could not be admitted to the undergraduate medical course, i.e., the MBBS course. Due to inconsistencies in this report, the court called for expert opinion on whether the disability suffered by the petitioner was within the benchmark of Disabilities Act and also if he is fit to undertake the MBBS course. The Committee of the Experts opined that the visual disability of the petitioner was within the benchmark of the Disabilities Act but he was not suitably fit to undertake the MBBS course as per the MCI requirements/guidelines. The memo did not disclose the exact reasons for forming the opinion that the petitioner was not fit for the MBBS course. The petitioner objected to this opinion of experts. The MCI also strenuously contended that Section 32 of the 2016 Act would not apply to admission to a medical college for the MBBS course. On MCI’s contention that Section 32 is not attracted since it only provides for reservation to higher educational institutions and not to technical institutions imparting technical education, the bench said, it “appears to be fallacious since higher educational institution is a generic term which would include institutions imparting all kinds of higher education, including technical education, whereas technical institution is a specific term for those institutions which only impart technical education”. “…it is not necessary for this Court to adjudicate the question of whether Section 32 of the 2016 Act is attracted or not, in view of the admission that the Medical Education Regulations which incorporate the provisions of the 2016 Act in relation to reservation to higher educational institutions, have statutory force and are binding on the MCI. The regulations have not yet been amended by the MCI in the light of the recommendations made by its Committee and the decision taken at the Secretariat level. No amendment in the 2016 Act or in the regulations framed by the MCI have been made so far,” the bench observed.